So let’s get a puppy…. Now last year our pear tree gave us nothing. Zilch. There were a couple of malformed pears on there but nothing remotely edible. As the trees in the orchard haven’t been pruned for a number of years we hoped that a good pruning and bit of attention might bring it back to life although we weren’t hopeful as it is next to the pampas grass and quite overcrowded. Well yesterday we were able to harvest our first pears. 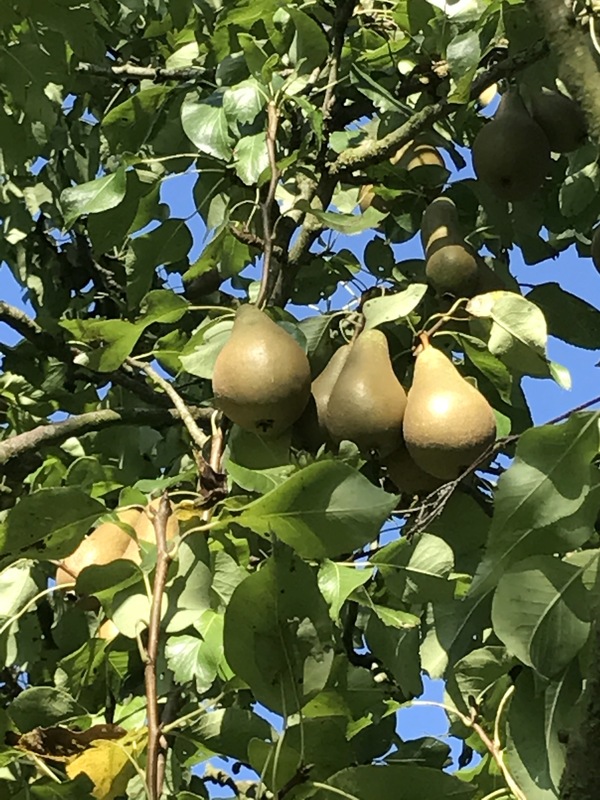 One thing about pears is that it is really hard to work out when to pick them as they need to be picked before they are ripe. So it is a bit of a challenge to decide when to pick. We picked a total of 23 yesterday, I’ve set aside some to go with our lunches this week and have a few left over that I might try and do a pear tart tatin with. There are still loads left on the tree so it looks like we might be eating pears for some time to come. Does anyone have any favourite ways to use up pears? Or any suggestions on how to make sure that you are picked them at the right time? 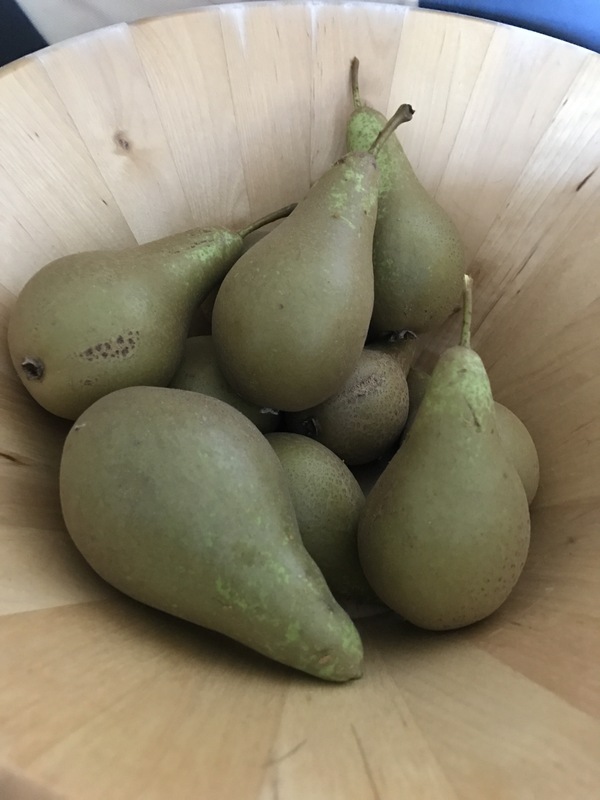 Normally I don’t really like pears, they can taste quite grainy, but we’re been eating our homegrown ones everyday and have had to pick some more as we ran out. Some of my posts have links allifilate schemes. What this means is that I earn a percentage commission for the referral but that the price which you pay for the product is the same. I only recommend products that I have actually purchased myself and use.